Sciblogs | Innovation – how is our strategy looking? Innovation – how is our strategy looking? The Government has released Building Innovation, the second progress report of six in its Business Growth Agenda. 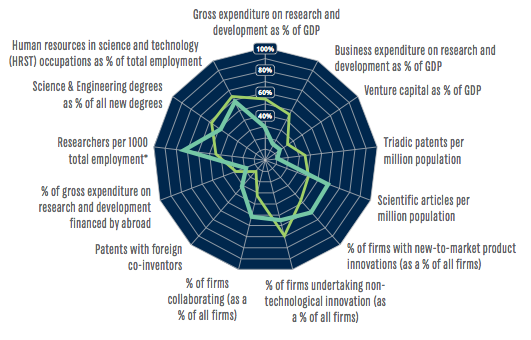 The document gives a pretty good overview of what the Government has done and intends to do in its efforts to boost innovation in the economy. It also shows our major weaknesses when it comes to the R&D activities we undertake. The report touches on many previously announced initiatives – the formation of the Advanced Technology Institute, the National Science Challenges, the boosted funding of public science and increased science and engineering tertiary course funding. There’s a lot going on, but is it the right focus? Would Sir Paul Callaghan, whose name will grace the new ATI, be proud of this plan to boost innovation in New Zealand? It’s a plan. One that Paul might like. But he will likely not appreciate the activity of making NZ unattractive environment for researchers. We may have a nice lifestyle, however, cost of living increases are progressing at a time the government is helping minimize salaries, or pushing CRIs for cost maintenance/reduction. 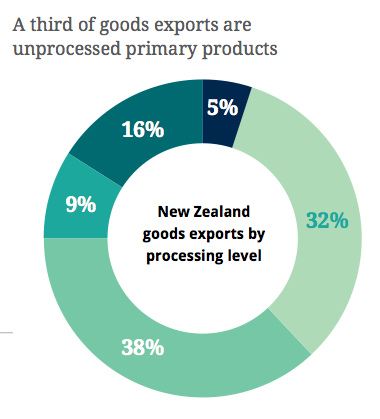 The ultimate end of this is reduction in R&D capability, reduced innovation, or our researchers going overseas to complete innovation, minimizing the return of capital to NZ. Unfortunately, this is being matched by industry linked research group reducing head count, and or, capital spent on innovation. Combined with the patchy ethics processes through multiple universities, DHBs, etc, overlayed with the Maori consultation process for ethics that appears to be hodge podge minefield. (what has happened to Dr Hutchinsons work on the ethics process?). Nice start. But money talks, and the government need to front up, and not just providing pools for the large, slow moving, industries to play with. Is it really a plan? 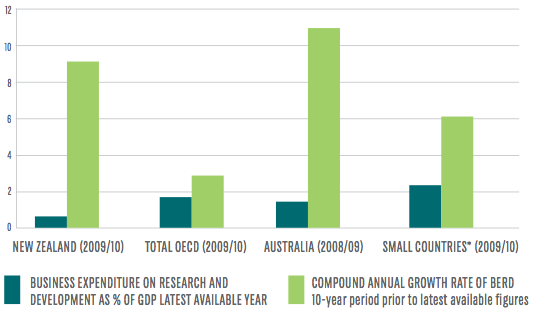 Front and centre in all this must be the problem of low business sector R&D expenditure. Govt says they want to see it grow; but I can’t see much action on this front. Nothing, anyway, compared with the bold (but doomed) R&D tax credit. There will come a day when they will bitterly regret killing it off.